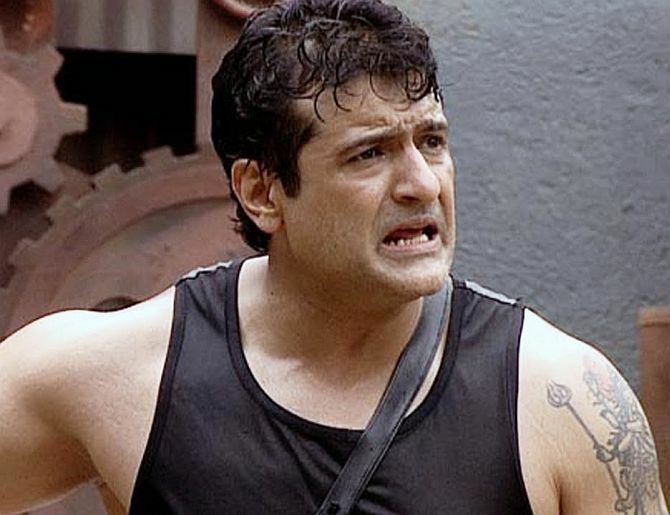 Actor and Big Boss 7 contestant Armaan Kohli was arrested by the Lonavala Police on Monday evening from the Bigg Boss 7 house based on a complaint by another evicted housemate Sofia Hayat. The British singer-actress had filed an FIR against Kohli for assaulting her with a mop during her stay at the house on the television reality show Bigg Boss. This footage was not aired on television and host Salman Khan had reprimanded Armaan for his actions. Sofia was evicted from Bigg Boss last week. During her stay on the show, an argument broke out between her and Armaan which ended with Armaan allegedly hitting Sofia with a mop. Kohli has been booked under sections 324 (voluntarily causing hurt by dangerous weapons or means), 504 (intentional insult to provoke breach of peace) and 509 (word, gesture or act intended to outrage the modesty of a woman) 506 (criminal intimidation) and 354 a (sexual harassment) of the Indian Penal Code, police said. Sofia had said after leaving the house, her only focus was to take action against Armaan and ensure that he leaves the house. She had filed a complaint at Mumbai’s Santacruz police station on Wednesday and accused Kohli of using words and gestures that outraged her modesty and assaulting her during her stay in the house. The Lonavala police had sought the unedited video of the alleged incident on Sunday. "This is showing the world that India takes a strong stand for violence against women. I am relieved. I did this not just for what Armaan did to me but for every woman who has been hit or abused by a man." After filing of the FIR, the 29-year-old actress had tweeted: "Police report done. I'm exhausted with today!. the police have been amazing. Santacruz police have been very professional and courteous." Representatives from Colors television Channel who air Bigg Boss refused to confirm despite repeated calls. Reader's say! 10 ways to SPICE UP Bigg Boss 7!